Top Notch Material: Win a Unique and Fun Gift Package from the Elves at Northpole! Win a Unique and Fun Gift Package from the Elves at Northpole! Little boys will be boys, won't they? 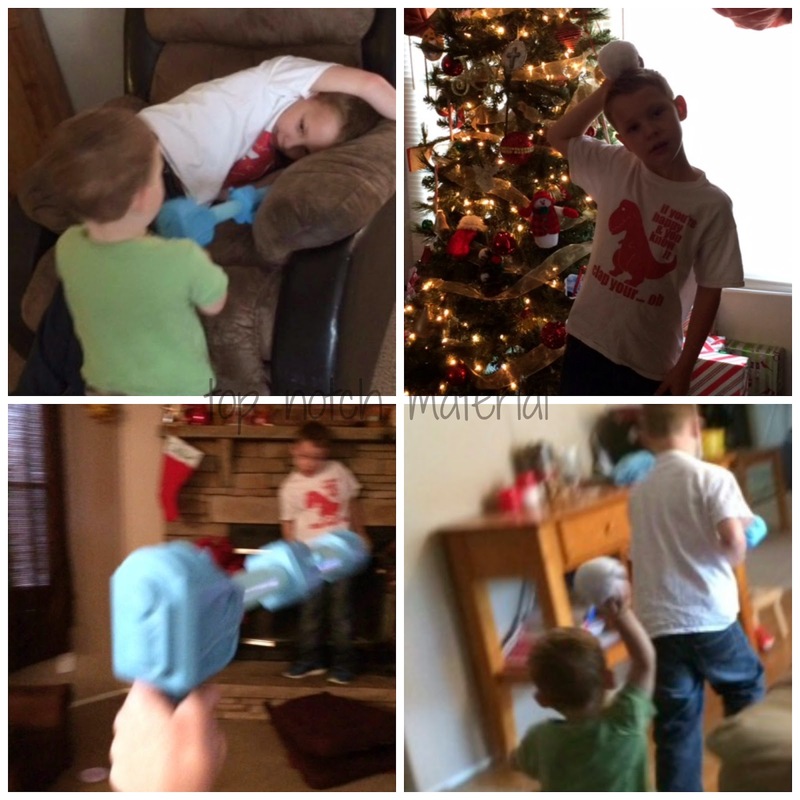 My little boys love anything they have permission to throw, or any guns that shoot. For many years, I refused to allow my oldest to have even the most toy looking of guns, but I have long since given up on that- because....boys are boys! I recently received an amazing gift package for my little guys from Northpole! 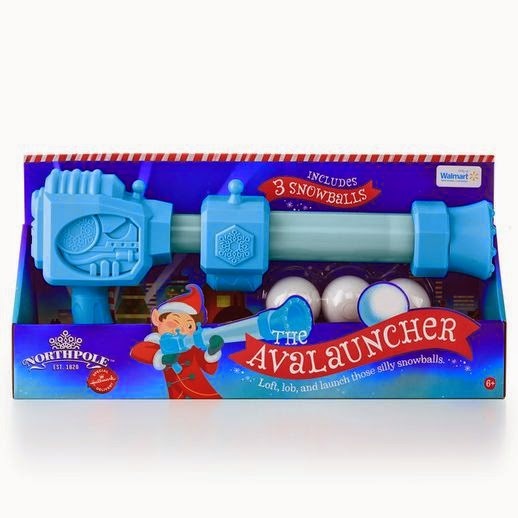 You see, we live in Florida so the elves at the Northpole decided that my boys needed a little (or LOT) more snow in their lives and sent us some Magic Snowballs and and the Avalauncher Snowball Launcher (available exclusively at Walmart). As you can see from the collage above, I could not get them to sit still and pose for a photo with their new goodies! We chased each other all over the house tossing the Magic Snowballs which lights up with twinkly, colored lights when it hits a person or the floor. 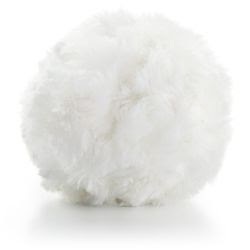 I loved that the Magic Snowballs are soft and fluffy, and almost like a comfortable pillow. The Avalauncher took a few minutes to figure out how to work it. It seems you have the shove the snowball ALL the way into the chamber to get it to fire, otherwise the ball just kind of falls out. Once I figured this out, we were launching snowballs all over the house. It does pack some power, but not enough to truly hurt anyone. The suggestions is that this toy is for ages 6+ and I suggest you stick to the age guidelines. Once the ball is fully into the chamber it does take some muscles to fire, and my 7 year old has to use his belly to help him fully engage the toy. Overall, Northpole has brought lots of giggles to our home. We had a fun hour of play with the boys toys, and have picked them up often since to play with! Nothing gets much better than a FLORIDA Snowball Fight! Win It: One lucky winner will receive a Prize Pack from Northpole! I like the Peppermint Fling Ring Game. I love the video in Snoozy's Snowflakes, all the videos are super cute. I like the items in the Gift shop. I commented on the Gatorland Review.